A diagnosis of a blood cancer can be particularly confusing and frightening. 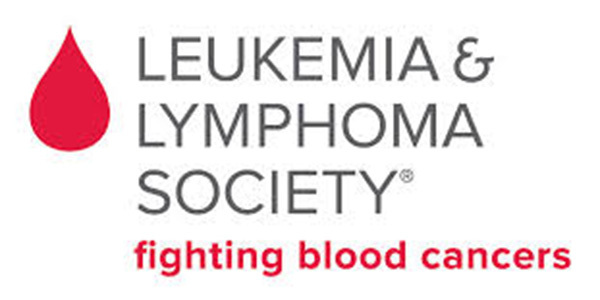 The mission of the Leukemia & Lymphoma Society (LLS) is to cure blood cancers, improve quality of life, and empower patients with knowledge. To gain insight into the goals and challenges of LLS, CURE interviewed Beatrice Abetti, the director of LLS’s Information Resource Center. What can a patient with blood cancer expect upon diagnosis? Usually it's a big shock for patients and their families, so people often will Google their diagnosis before doing anything else. That's often how they find LLS. With blood cancers, there are some that need treatment right away, so things happen pretty quickly — a patient will go through a bunch of tests to make sure they're fit for treatment and then the treatment plan is put in place. This can all happen within a couple days or a week or two. There are some cancers that are known as indolent — these cancers don't need to be treated until the disease causes symptoms that would adversely affect a patient's quality of life. For some people, it's very scary to know that they have a cancer and nothing is being done for it. Based on a patient's diagnosis, we'll give a patient information about their specific disease, what the treatment plan would look like and a list of questions that they can bring to their doctor. We certainly recommend, if at all possible, that patient go under the care of a hematologist. If they want to go for a second opinion, we're able to direct them to an NCI-designated cancer center. What are your thoughts, in general, about people Googling their diagnoses? There is a lot of information out there and it can be difficult for people to weed through what is current, what is accurate and what is not. If patients come to our website, I'm confident they'll get the information they need. I think it's almost always better to have a conversation with someone, so I think patients should reach out to someone at our patient information resource center. We're able to explain a diagnosis and treatments to patients in a simple way that they can understand. What other resources can LLS provide? I think our information resource center is very good at providing patients with what they need to know not only about their diagnosis but also treatment — side effects, how treatments progress and so on. We also want patients to know about clinical trials and advances in research. If a new treatment seems to be more promising than standard of care in a patient's disease type, we want them to be able to ask their doctors about it. We also have publications for each diagnosis that we can send to patients free of charge after we speak with them. These publications allow patients to continue their education — to continue to learn about their diagnosis and treatment options. We also have several services that allow patients to connect with one another. Cancer can be isolating — we believe that it's best for patients to not feel alone. LLS covers all types of blood cancers. What are the challenges with that? It just means we have to know a lot. My staff and myself have to accumulate large volumes of information and stay current with new drugs. It's an interesting and fast moving field, so the scientific curiosity certainly is stimulating. What do you hope the landscape of blood cancers looks like in five or 10 years? The main tenet of our mission is to get rid of blood cancers altogether, and we're getting closer. The hope for patients is to live longer and to have good quality of life. Therapies are getting a lot more targeted, rather than blasting all cells. Treatments are now honing in on leukemia or lymphoma cells specifically, which is making them less toxic and more effective. Patients should know that clinical trials these days offer new and probably better therapies than the standard of care. We also encourage patients to consider clinical trials or ask about them. There are great strides being made.